On November 16, 2011, an article appeared in a Washington State newspaper arguing for expansion of Washington's physician-assisted suicide act to direct euthanasia and to persons without a terminal disease. The author, Brian Faller, candidly admitted: "To improve the chances of passage, the Death with Dignity Act was written to apply only to the choices of the terminally ill who are competent at the time of their death." Now, he shows the other side's true colors. I am an attorney who has written multiple articles about our physician-assisted suicide act. I am also President of Choice is an Illusion, a non-profit corporation opposed to assisted-suicide. I disagree with Brian Faller that our physician-assisted act should be expanded to include direct euthanasia. A better course would be to repeal that act as a fraud on the voters. Our assisted-suicide act was enacted as Initiative 1000 in 2008 and went into effect in 2009. During the election, proponents claimed that its passage would assure individuals control over their deaths. The act is instead a recipe for elder abuse. Key provisions include that a patient’s heir, who will benefit financially from his death, is allowed to actively assist him to sign up for the lethal dose. Specifically, an heir is allowed to be one of two witnesses on the lethal dose request form. In the context of a will, the same situation would create a presumption "duress, menace, fraud, or undue influence." (RCW 11.12.160(2)). There are also no witnesses required at the death. Without disinterested witnesses, the opportunity is created for someone else, including an heir, to administer the lethal dose to the patient without his consent. Even if he struggled, who would know? The idea that our act promotes patient control or individual liberty is untrue. Our act instead puts older people and others in the cross-hairs of abuse. For more information, please see www.choiceillusion.org and click on the page for Washington State. "No, physician-assisted suicide is not legal in Montana: It's a recipe for elder abuse and more"
There are two states where physician-assisted suicide is legal: Oregon and Washington. These states have statutes that give doctors and others who participate in a qualified patient’s suicide immunity from criminal and civil liability. (ORS 127.800-995 and RCW 70.245). In Montana, by contrast, the law on assisted suicide is governed by the Montana Supreme Court decision, Baxter v. State, 354 Mont. 234 (2009). Baxter gives doctors who assist a patient’s suicide a potential defense to criminal prosecution. Baxter does not legalize assisted suicide by giving doctors or anyone else immunity from criminal and civil liability. Under Baxter, a doctor cannot be assured that a suicide will qualify for the defense. Some assisted suicide proponents nonetheless claim that Baxter has legalized assisted suicide in Montana. Legalizing assisted suicide in Montana would be a recipe for elder abuse. The practice has multiple other problems﻿. Baxter found that there was no indication in Montana law that physician-assisted suicide, which the Court termed “aid in dying,” is against public policy. (354 Mont. at 240, ¶¶ 13, 49-50). Based on this finding, the Court held that a patient’s consent to aid in dying “constitutes a statutory defense to a charge of homicide against the aiding physician.” (Id. at 251, ¶ 50). Baxter, however, overlooked elder abuse. The Court stated that the only person “who might conceivably be prosecuted for criminal behavior is the physician who prescribes a lethal dose of medication.” (354 Mont. at 239, ¶ 11). The Court thereby overlooked criminal behavior by family members and others who benefit from a patient’s death, for example, due to an inheritance. If the idea of suicide itself is suggested to the patient first by the doctor or even by the family, instead of being on the patient's sole initiative, the situation exceeds "aid in dying" as conceived by the Court. 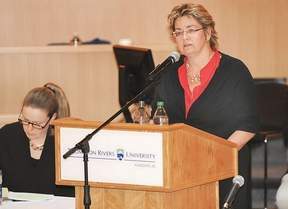 If a particular suicide decision process is anything but "private, civil, and compassionate," . . . , the Court's decision wouldn't guarantee a consent defense. If the patient is less than "conscious," is unable to "vocalize" his decision, or gets help because he is unable to "self-administer," or the drug fails and someone helps complete the killing, Baxter would not apply. . . .
No doctor can prevent these human contingencies from occurring in a given case . . . in order to make sure that he can later use the consent defense if he is charged with murder. The 2011 legislative session featured two bills in response to Baxter, both of which failed: SB 116, which would have eliminated Baxter’s potential defense; and SB 167, which would have legalized assisted suicide by providing doctors and others with immunity from criminal and civil liability. In Montana, there has been a rapid growth of elder abuse. Elders' vulnerabilities and larger net worth make them a target for financial abuse. The perpetrators are often family members motivated by an inheritance. See e.g. www.metlife.com/assets/cao/mmi/publications/studies/mmi-study-broken-trust-elders-family-finances.pdf . With assisted suicide laws in Washington and Oregon, perpetrators can . . . take a 'legal' route, by getting an elder to sign a lethal dose request. Once the prescription is filled, there is no supervision over the administration. . . . [E]ven if a patient struggled, “who would know? I wanted to do our [assisted suicide] law and I wanted my doctor to help me. Instead, he encouraged me to not give up . . . I had both chemotherapy and radiation. . . . It is now 10 years later. If my doctor had believed in assisted suicide, I would be dead. Once a patient is labeled “terminal,” an easy argument can be made that his or her treatment should be denied. This has happened in Oregon where patients labeled “terminal” have not only been denied coverage for treatment, they have been offered assisted-suicide instead. Stroup and Wagner were steered to suicide and it was the Oregon Health Plan doing the steering. Oregon’s law empowered the Oregon Health Plan, not individual patients. [A]ll the protections [in Oregon’s law] end after the prescription is written. [The proponents] admitted that the provisions in the Oregon law would permit one person to be alone in that room with the patient. And in that situation, there is no guarantee that that medication is self-administered. In Montana, the moving force behind legalizing assisted suicide is Denver-based Compassion & Choices. On September 15, 2011, that organization’s president published an article on Huffington Post claiming that under Baxter physicians in Montana are “safe from prosecution.” ( http://www.huffingtonpost.com/barbara-coombs-lee/aid-in-dying-montana_b_960555.html ) This is clearly not the case and propaganda. A physician relying on her advice could be charged with homicide. Baxter is a flawed decision that overlooked elder abuse. Baxter has created confusion in the law, which has put Montana citizens at risk. Neither the legal profession nor the medical profession has the necessary guidance to know what is lawful. Legislation should be enacted to overrule Baxter and clearly declare that assisted suicide is not legal in Montana. Senator Jim Shockley, of Victor, is a Republican State Senator, probate lawyer, and an adjunct instructor at the University of Montana School of Law. Margaret Dore is an attorney in Washington State where assisted suicide is legal. She is also President of Choice is an Illusion, a nonprofit corporation opposed to assisted-suicide. (www.choiceillusion.org) She is a Democrat.